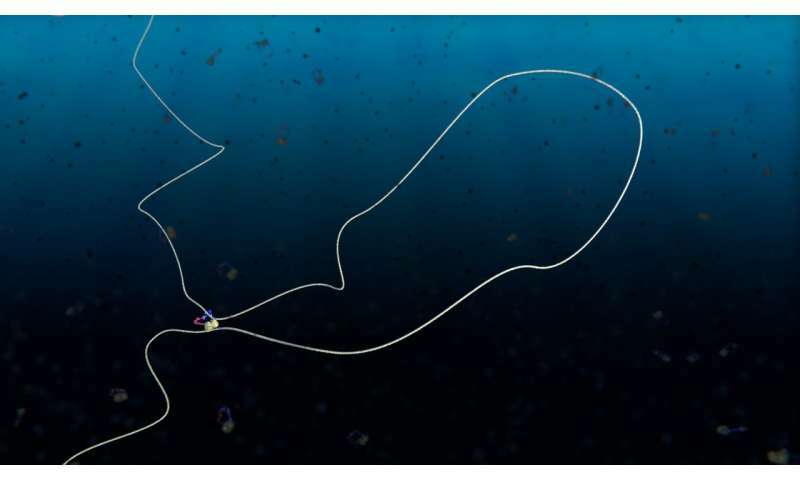 This discovery resolves a heated debate in the field, as it finally answers a question that has been discussed in biology for over a century: Before dividing in two, DNA in a cell is comparable with spaghetti – a messy mixture of intermingled strands. The cell needs to organise this jumble in chromosomes to be able to divide its DNA neatly over both daughter cells. For many years, it has been clear that the protein complex condensin plays a key role, but until now, biologists were divided on exactly how. One theory held that condensin works like a hook that can grasp and connect DNA within the jumble of DNA, thus tying it together. Another theory suggested that the ring-shaped condensin pulls the DNA inwards to create a loop. In a cover article in Science last November, scientists from Delft and collaborating labs showed that condensin has the motor function needed for such loop extrusion. This added an important new piece to the puzzle, but as Kim Nasmyth from Oxford University noted in the accompanying perspective, "The discovery that condensin is a DNA translocase is certainly consistent with the idea that it functions as a loop extruder, but by no means proves it. The challenge will be to observe extrusion as well as translocation, to establish whether it is a property of individual or multimeric complexes, and to elucidate the molecular mechanism." And this is exactly what has now been accomplished. Scientists from the Cees Dekker group at the Kavli Institute of Delft University, together with the Christian Haering group from EMBL Heidelberg, who established the purification and fluorescence labeling of the protein, captured actual movies that of the condensin complex in action—that is, while it was extruding a loop of DNA. "We've simply proved it by filming it," says Mahipal Ganji, a postdoc in the group of Cees Dekker at Delft. "DNA is such an entangled mishmash that it is very difficult to isolate the process and study it in cells. In our study, the first step was to fix the two ends of a DNA molecule onto a surface and put colour dyes on the DNA and condensin. By then applying a flow in the fluid perpendicular to the molecule, we oriented the DNA in a U-shape and brought it into the focal plane of our microscope. Amazingly, we could then see a single condensin bind and extrude a loop." Prof. Cees Dekker adds, "This settles the debate. These data provide compelling evidence that condensin reels in DNA to form loops. Our novel imaging approach also allows measurement of all kinds of quantitative data: the symmetry of the loop extrusion, the speed at which the loop is formed, what happens when you pull on the DNA." The looping speed was found to be remarkably high: up to 1500 base pairs of DNA can be reeled in by condensin per second. And it does so while consuming only a modest amount of the cellular fuel ATP, indicating that condensin does not step along the DNA base by base, but pulls it in large steps. When slightly pulling on the DNA, the looping process slows down. Apparently, with tension, condensin seems to struggle more to create a loop. Unexpectedly, the loop extrusion is asymmetric: "We saw that condensin docks onto DNA and anchors itself there, and then starts reeling in DNA from one side only." Dekker adds, "Yet another interesting finding." The research represents a significant step in the fundamental understanding of DNA, but is also relevant for medicine. Problems with the the SMC protein family, to which condensin belongs, are related to hereditary conditions such as Cornelia de Lange Syndrome. Condensin is also crucial in the organisation of the chromosomes during cell division, and errors in the process can result in cancer. A better understanding of these processes is vital for tracking down the molecular origins of serious illnesses. This must be mandatory for every paper published, or at least that's how it seems to me. Every study that provides "compelling evidence" (NOT absolute proof) for one conclusion or another. Until the next paper that shows something different, then THAT one 'settles the debate'. Scientists lose the public precisely for this reason; making definitive claims based on a single study that is contradicted by a later study. They need to stop saying things like this, it only causes confusion and provides evidence for the anti-science crowd that science can say anything one wishes it to say.